Select one of the most common absence types - business trip, maternity leave, sick leave, unpaid leave, annual leave, etc. Each type of absence is indicated with a unique color. The absence chart can display data in three-time scales: intraday, weekly or monthly. Please note that the monthly grid does not display intraday leaves so as not to overwhelm the chart with less relevant data. To quickly view the leave details, hover the mouse pointer over the leave. Initially, the absence chart contains data for all the unavailable employees. If required, you can view the report on a certain department: select it in the drop-down list on the context toolbar. To filter the data by the kind of leave, use the button Set Absence Types on the context toolbar. Only users with administrative access to your Bitrix24 account can manage Absence chart section. But each Bitrix24 user can add own absence via personal calendar (Calendar > My Calendar > Add new event > user's availability = away (add to absence chart). The system updates information in the absence chart automatically using data provided by the personal calendars. Such entries added by users via personal calendars will be marked with a neutral grey color. 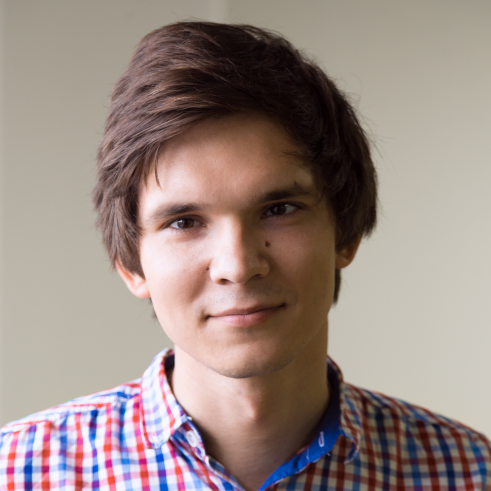 Important: absences added by Bitrix24 administrators via Absence chart widget will not appear in users personal calendars. Please note that business processes are available to Bitrix24 Standard & Professional plans only. After all employees involved in the process approved the request – it is sent to the final responsible user to finish the approval. 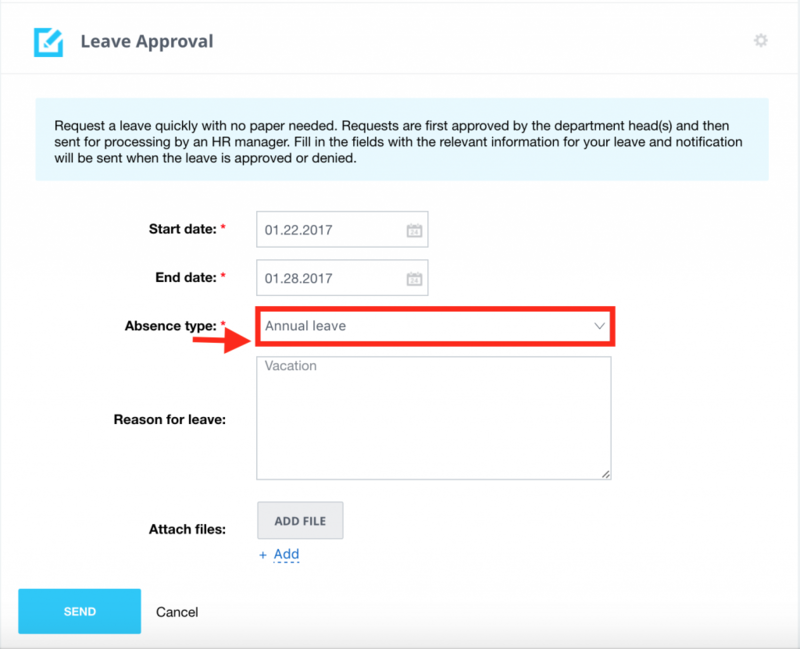 When the leave request is approved and confirmed - it will be automatically added to the Absence chart (more about Leave approval workflow here). Absence chart is available to Bitrix24 Standard or Professional plan subscribers.